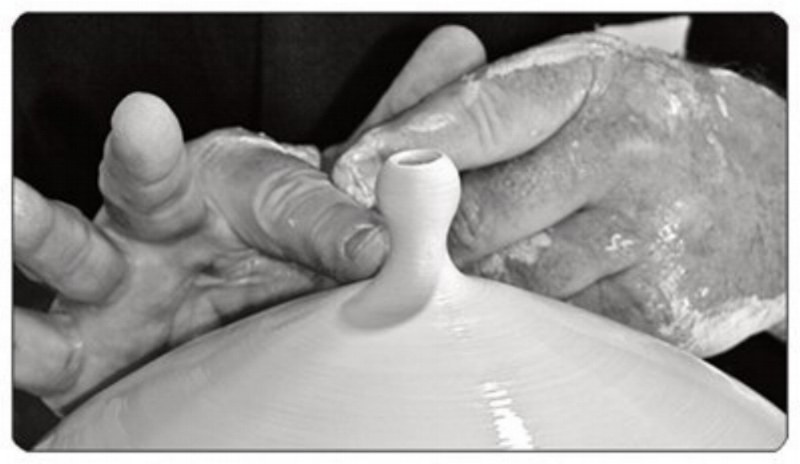 As a functional potter, my focus is on use and purpose with a careful eye to artfully designed, finely crafted work. My pieces are wheel thrown, altered, hand built, and assembled porcelain. I fire to cone ten in reduction. I chose high fire for the challenge of creation and the durability of use. As well, I chose porcelain for the challenge but also, as a very tight and pure clay body, I am able to appreciate vivid, consistent color from my glaze palettes. My own glazes are formulated by me. I spray and layer a variety of glazes on each piece for interface and flux, combined with an altered form to create a sense of animation or kinetic movement. I use surface enrichment from slip application, sgraffito, brush work and pushing or bumping the form. This allows me to incorporate the nuance of the surface with the perfect marriage of form, color and function. I make pottery for everyday use, as well as, one-of-a-kind art vessels for the discerning collector. I was fortunate to have found my passion at an early age. I started making pottery in high school ceramics, fell in love with the medium and went on to study art and graduate from Pierce College. And from there, with further study at UCLA, while serving a 7 yr apprenticeship with Master Potter John Schulps. 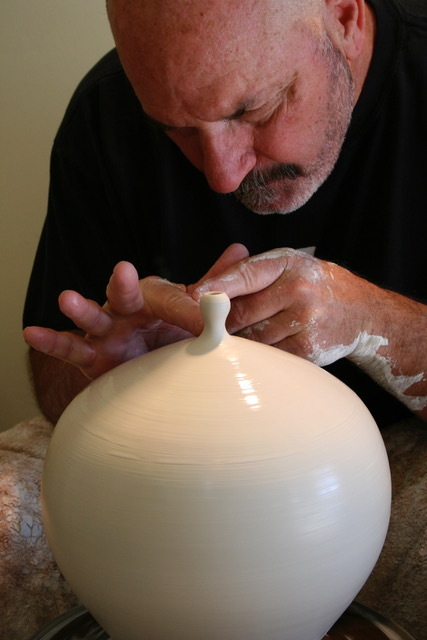 I founded Massarella Pottery, Gallery and Clay School in 1982 in Ojai, CA. I sold the school portion of the business in 2013, but continue to teach at the school. I still own and operate Massarella Pottery and Gallery to this day. I have participated many years in Strictly Functional Pottery National. 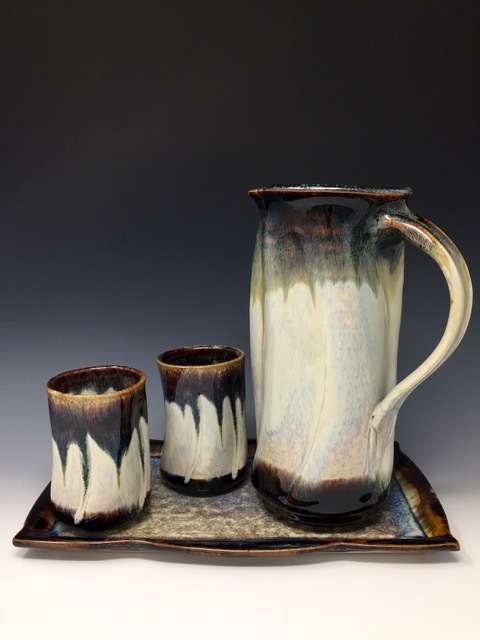 I have exhibited at American Museum of Ceramic Art, and participated in numerous shows and exhibitions both nationally and regionally. I have received many accolades and awards ranging from Best in Medium to Best in Show. My work is represented in galleries from coast to coast, including D.C., Santa Fe, NM, Sedona, Jerome, and Tubak Arizona, and Zion National Park. I am included in the private collections of Sir Anthony Hopkins, Robert Downey Jr, Forest Whitaker, the late Michael Jackson, Steve Martin, Barbara Streisand and Bernadette Peters, to name a few. I am married to, and collaborate with, my beautiful wife, Dusti Pelow. Follow Frank Massarella on Facebook here.